Gatorshield® is the only structure of choice in this market. Superb corrosion resistance means that a house should last many years with the abusive environment inside. 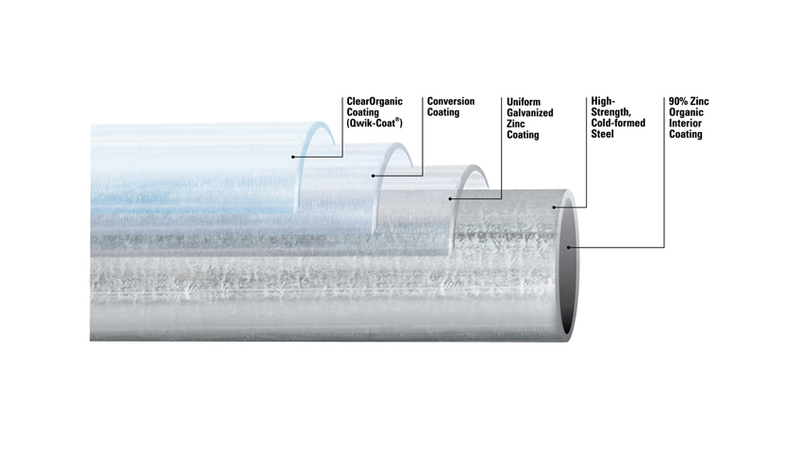 Guaranteed mechanical properties (50,000 psi min. yield) allow for large engineering structures with very lightweight frames. Swaged ends allow for quick construction over already growing plants. Manufactures liability covers claims against structural problems going back to the installer. If it is engineered and installed correctly, it should not fail because of tube. Welding is simple and can be performed in the field if necessary with standard equipment. The fumes from the coatings will not harm the welder. 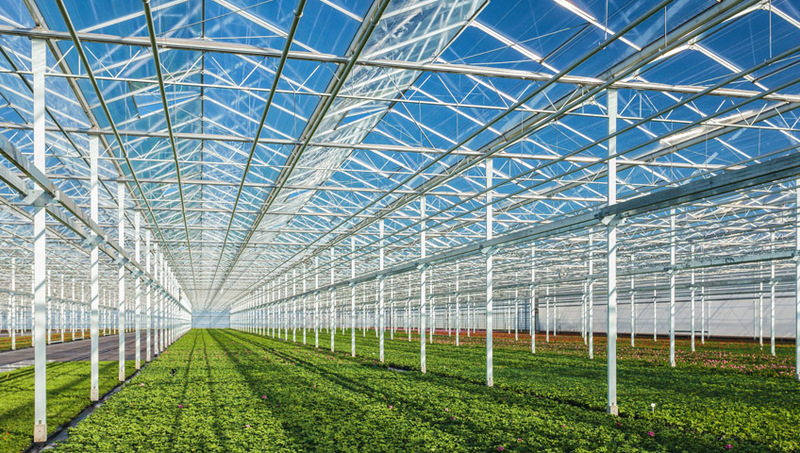 Many greenhouse accessory items are also made out of Gatorshield® because of its corrosion resistance. Select fittings available in both clamp style and strap style. Complete size range available in 1/2 inches thru 5 inches round, squares and rectangles up to 4 inches.